That’s right, from the unsettled mind that brought us Beavis and Butthead, and one of the best-received primetime animated series in history in King of the Hill, comes a new animated series dealing specifically with country music. Called Mike Judge Presents: Tales from the Tour Bus, the series has been greenlighted by HBO to be aired on their sister station Cinemax. Eight episodes have been ordered so far and are currently in production to be aired sometime later in 2017. The series is said to chronicle the tales of some of country music’s most eccentric characters. According to Judge, it’s a documentary miniseries with the stories animated. Dub Cornett—co-writer of the Hank Williams movie The Last Ride—will also be on board. 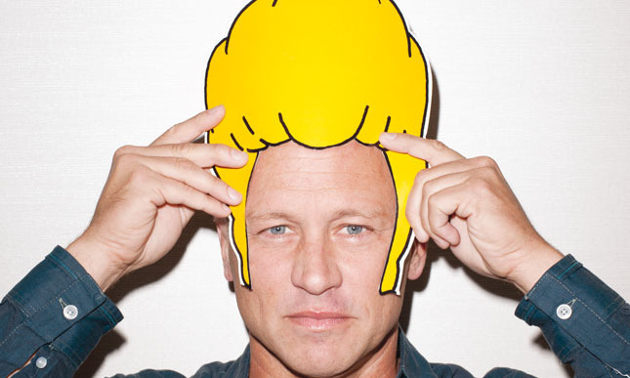 Mike Judge and Dub Cornett are also executive producers of the show. Others involved include Bob Engleman (The Mask), and Richard Mullins. As King of the Hill fans can attest, the series had a heavy country music component, with special guests over the years including Charlie Daniels, Clint Black, Dwight Yoakam, Tammy Wynette, Trace Adkins, Travis Tritt, Vince Gill, Willie Nelson, Wynonna Judd, George Strait, Kix Brooks, Ronnie Dunn, Natalie Maines, Randy Travis, and Brad Paisley. And of course many of Mike Judge’s projects have a heavy musical theme, including Beavis and Butthead which became a staple for MTV in the 90’s. King of the Hill logged 13 seasons, 259 episodes, and was the 3rd longest-running animated series for FOX before ending production in 2010. Mike Judge Presents: Tales from the Tour Bus is said to be part of a bigger strategy by Cinemax to bring more original programming to the cable network full of fun and pulpy material. It will be interesting to see how this series develops. With plenty of funny and strange stories from the history of country music, like I don’t know, the time there was a gunfight in the parking garage of the Birmingham Coliseum, and Willie Nelson emerged from his bus in tennis shoes and cutoffs with two Colt .45’s stuck in his waist with barrels so long they were sticking out on the bottom of his shorts, the series shouldn’t run low on material. This sounds promising, and if he isn’t doing the premise you mentioned, dramatizing real life events in animation, you ought to pitch it someone. Just the Willie story would be a good pilot. Pretty cool. I can’t imagine this being anything but fan-god-damn-TASTIC! Butthead: You know, Beavis, this just goes to show you, some things never go out of style. Beavis: Yeah, you mean, like, country music? Butthead: No, dumbass, big hooters! Didn’t he make the music video for the Zac Brown Band’s song The Wind? Hey, baby. Got any cavities? Judge is amazing. He also did Office Space and created the drop-dead funny Silicon Valley. I can’t wait to check out anything he does. If I could move my hand that fast I’d never leave the house. very excited to see this!! i am a huge fan of King of the Hill. In one epsiode, the Hills go to Country Music Fanfair. the episode has guest voice actors including Vince Gill, Randy Travis, Clint Black, and many others. Alan Jackson and Willie Nelson have been featured on the show, too, along with many others. this could be very good, indeed. sorry. i should have read the whole article before posting my sample list of guests. just got a little excited haha.